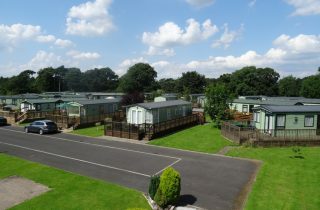 New & Pre Owned Static Holiday Homes. Below is a selection of new and used caravans we have on display at the park, other new models can be supplied. The only additional charge would be the Site Fees which is calculated pro-rata. To finish your new holiday home decking, skirting and paving can be installed to your own requirements. New Arrival... Brand New Holiday Home. Can't find what you're looking for? Have you a particular make or model in mind? Click here for more information.